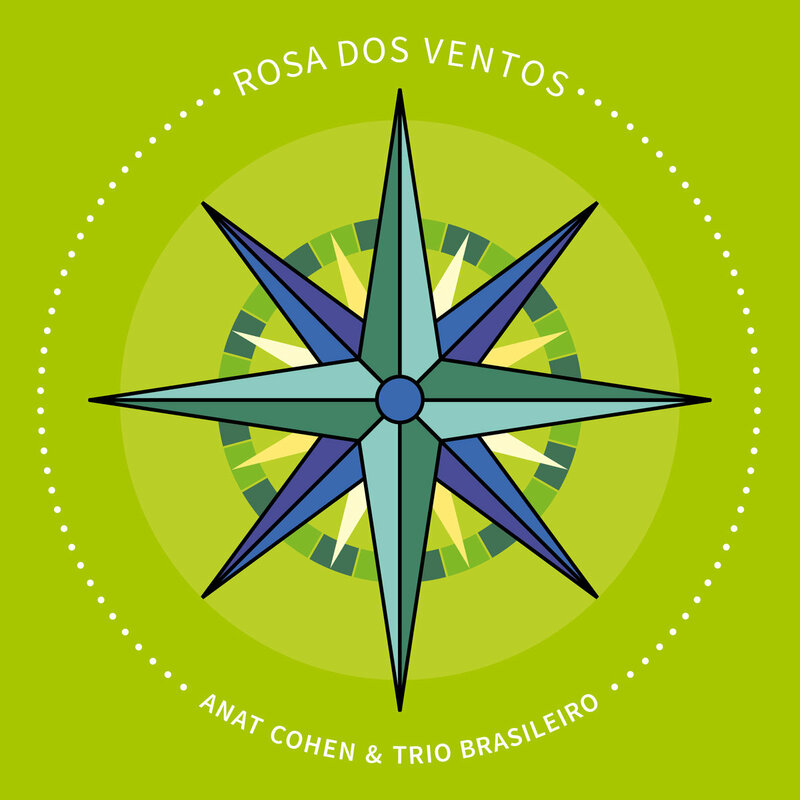 Anat Cohen, who topped the Clarinet category in both the DownBeat Critics Poll and Readers Poll last year, continues her deep, informed exploration of Brazilian music with the new album Rosa Dos Ventos, a collaboration with Trio Brasileiro. 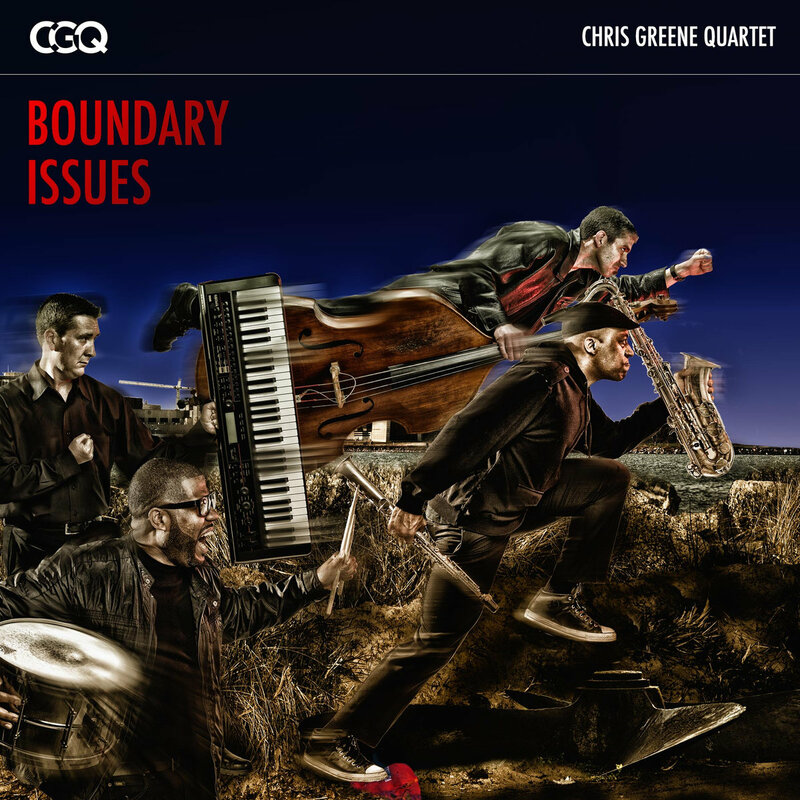 (Cohen also has a new duo album with guitarist Marcello Gonçalves, Outra Coisa, which features compositions by the late Brazilian composer Moacir Santos.) Rosa Dos Ventos contains a dozen original compositions in the choro style, including three by Cohen. In the album’s promotional materials, Cohen explains her strong affinity for the style, which originated in 19th-century Brazil: “I love choro because it’s the perfect mix of classical music and jazz, where it demands precision but everyone can inflect the music with their own personality and interpretation. As with the style of early New Orleans jazz, choro functions on group polyphony, where everyone has a role yet it’s open and free-spirited, with simultaneous melodies happening.” Her collaborators on this enticing, cohesive program are the members of Trio Brasileiro—Dudu Maia (who plays an instrument similar to a mandolin, the 10-string bandolim), Douglas Lora (guitar) and his brother Alexandre Lora (percussion, hand pans and the pandeiro, a Brazilian frame drum)—as well as percussionist Luiz Ungarelli, who plays congas on two tracks. This is spacious music, with plenty of infectious melodies. Whether she’s accompanying her bandmates in a quintet setting, or delving into a spare dialogue with Douglas’ seven-string guitar, as she does during a portion of the title track, Cohen consistently delivers memorable clarinet lines. Fans of Brazilian music (as well as voracious listeners who enjoy klezmer and Django Reinhardt) are likely to find many delights in this program, which features tunes that are both lively (“Choro Pesado”) and soothing (“Lulubia”). Cohen and Trio Brasileiro are touring together, with upcoming shows at Dazzle in Denver (May 13–14), City Winery in Chicago (May 15) and Jazz Standard in New York (May 16–17), to be followed by European dates. It’s been a pleasure for Chicago fans to hear Chris Greene grow up before their very ears. The 43-year-old saxophonist has been working the clubs of Chicago and other Midwest venues, honing his craft for a good, long time. He studied under the great David Baker and Thomas Walsh at Indiana University before returning to his hometown to continue his education on the bandstand under the tutelage of such legends as Von Freeman. On top of that, his quartet has been together since 2005. It still features original members Damian Espinosa (piano and keyboards) and Marc Piane (bass)—and relative newcomer Steve Corley on drums and percussion has been in the group since 2011. All of this work and experience pays off wonderfully on Boundary Issues, where Greene and company have a swagger that swings. The album’s set list demonstrates that this group sees no boundaries when it comes to musical selection. There’s a healthy sampling of great originals, such as Greene’s “Here To Help” and “Blues For Dr. Fear” as well as Espinosa’s “Thunder Snow” and Piane’s “Wildcat.” But the group also draws on some sweet, unlikely sources. It turns the Yellowjackets’ “Summer Song” into a rolling samba with the help of percussionist JoVia Armstrong. Horace Silver’s “Nica’s Dream” turns into a noir reggae jam. And the late and underappreciated Kenny Kirkland gets a beautiful nod with the quartet’s version of “Dienda,” which takes your breath away. So does the set’s closing number, Billy Strayhorn’s “Day Dream.” Greene has a beautiful feel and tone, and this group truly plays as one. It’s the kind of music that can only be made by artists who have honed their craft, together. The Microscopic Septet’s 2010 album, Friday The Thirteenth, had a subtitle—The Micros Play Monk—which conveyed essential info about the program. 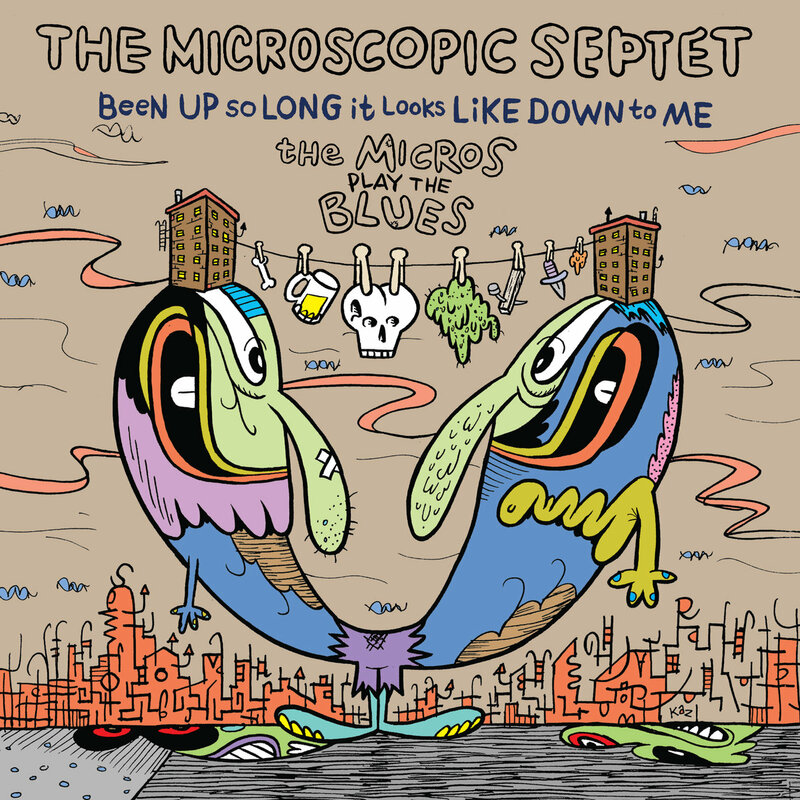 The band’s new album also has an informative subtitle—Been Up So Long It Looks Like Down To Me: The Micros Play The Blues. And this is definitely blues of a swinging variety. Whether the band is playing a composition that is intricately complex or relatively simple, the Micros have an abiding commitment to make their music swing. The program consists of six original tunes by each of the two co-leaders—soprano saxophonist Phillip Johnston and pianist Joel Forrester—along with a cover of the 1950 r&b hit “I’ve Got A Right To Cry.” The latter is the only vocal track here, and baritone saxophonist Dave Sewelson’s slightly gravelly lead vocals provide a smile-inducing conclusion to this 62-minute gem of an album. 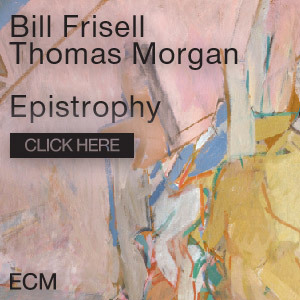 Johnston once described the band’s modus operandi this way: “Break all the rules and respect all the saints.” That ethos results in tunes that mix eccentric originality with hints of Ellingtonia, as delivered by a scrappy septet. “12 Angry Birds,” which is one of the more traditionally bluesy tunes, seems to celebrate early Ellington, offered with a song title that apparently nods to Sidney Lumet’s classic 1957 film 12 Angry Men and the video game Angry Birds. It’s that type of intellectual mash-up, looking forward and backward simultaneously, that makes a Micros album such a treat. Even more noteworthy is Forrester’s “Silent Night,” an original composition with two sections that quote from the famous hymn. Elsewhere, Johnston’s “When It’s Getting Dark” has a vibrancy reminiscent of Henry Mancini’s Peter Gunn theme and Neal Hefti’s Batman theme. 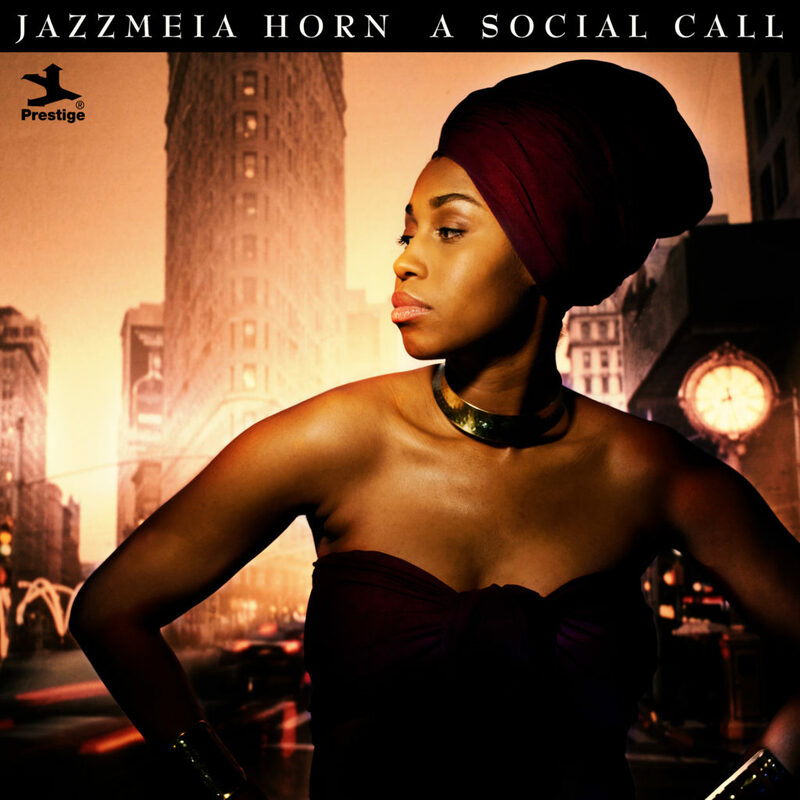 Throughout this entire album, the sense of swing is sturdy, and the fun factor remains high. 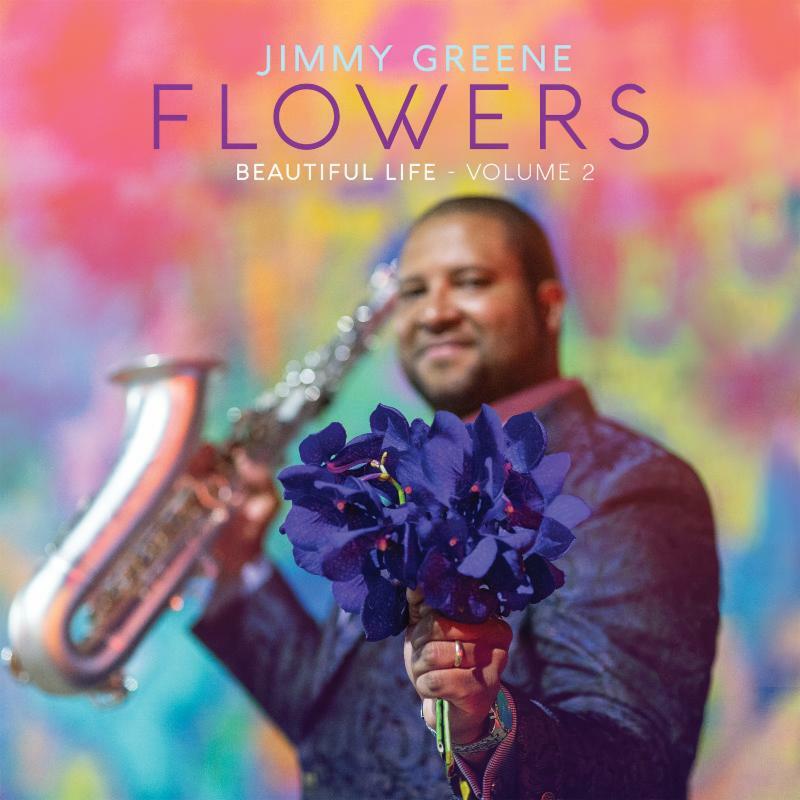 Jimmy Greene is a larger-than-life man, musician and artist. He’s also a larger-than-life father with a broken heart. In 2012, his 6-year-old daughter, Ana Márquez-Greene, was killed along with 19 of her classmates and six teachers at Sandy Hook Elementary School in Newton, Connecticut. Flowers—Beautiful Life, Volume 2 is his second recording since her passing, both touchingly dedicated to her memory. While the first volume focused on the sorrow of his loss, this one focuses on his memories of a child with a bright personality and a love of dance. There are 11 Greene-penned tunes in this program, and they all serve as postcards of a father’s love. “Big Guy” is an ode to Ana’s nickname for her father. “Stanky Leg” is a memorable toe-tapper. “Second Breakfast” was written in honor of Ana’s favorite meal. “Someday” is a beautiful ballad featuring Greene’s soul-dripping tenor saxophone and aching vocals by Jean Baylor. The set’s closing tune, “Thirty-Two,” comes in as a funk number sweetly dedicated to Greene’s teenage son. Greene’s songwriting is thoughtful, spot-on and heart-wrenching. And he has enlisted the help of an all-star cast to perform it. Jeff “Tain” Watts and Otis Brown III take turns on the drums. John Patitucci and Ben Williams hold down the bass. Renee Rosnes and Kevin Hays perform on piano and Rhodes. Mike Moreno is featured on guitar, and Rogerio Boccato adds percussion. And, the title tune is performed by vocalist Sheena Rattai. Playing this music can’t be easy for Greene. But with a little help from his friends, he somehow carves something of immense beauty from pure tragedy. God bless you, Mr. Greene. God bless Ana. Violinist Regina Carter is at the top of her art here on this fantastic tribute to Ella Fitzgerald on the occasion of her 100th anniversary. 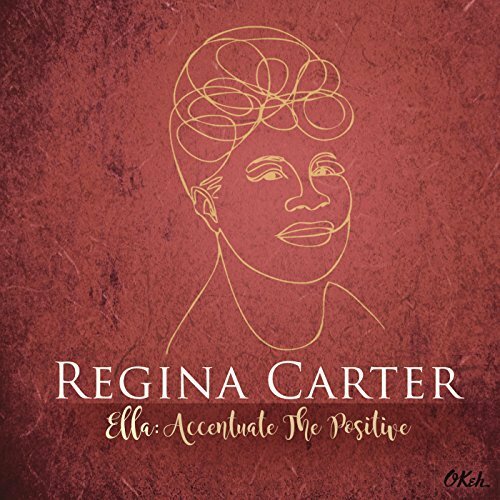 Carter shows she is in full command of her talents from the downbeat of the opening tune, “Accentuate The Positive,” a very original take on an old chestnut. Sung with deep soul and gospel furor by Miche Braden, Carter shares the spotlight on this one with the vocalist/actress as well as guitarist Marvin Sewell. It’s a burst of musicianship at its best inside an incredibly inventive arrangement by Ray Angry. Arrangements, in fact, are at the forefront of this entire recording. Ben Williams arranges a sweet “Crying In The Chapel,” and Sewell’s version of “Judy” is a toe-tapping sigh. Chris Lightcap arranges a soul-infused “I’ll Never Be Free.” Even so, at the heart of this album are tunes so familiar you can see the words floating across the sky as they’re virtually sung with melodic perfection by Carter’s violin. There’s a reason she is a perennial DownBeat Critics and Readers poll winner. Her playing is recognizable within three notes. And here, she’s not afraid to take risks with Fitzgerald’s musical legacy. “Reach For Tomorrow” is a beautifully orchestrated homage. “Undecided” is a funk-fest featuring the vocals of Carla Cook. And “I’ll Chase The Blues Away” is served up as a get-down-to-the-ground, guttural blues. These are certainly Fitzgerald’s signature tunes, but they have been transformed by another great stylist: Regina Carter! Sunny Jain cuts a striking figure as the leader of the high-octane, Brooklyn-based octet Red Baraat, as he energetically pounds out mesmerizing rhythms on the dhol (a double-headed drum). Jain has said that the purpose of Red Baraat is “to bring joy and togetherness”; it’s a goal he routinely accomplishes in concert, and on a new studio album, Bhangra Pirates. Electric guitar is now a consistent element of the Red Baraat palette, resulting in a frequently aggressive sound, as on “Bhangale,” featuring Delicate Steve’s wicked fretwork. Elsewhere, guitarist Jonathan Goldberger offers both the crunch and scream of rock guitar on the title track. The grooves on this album are canyon-deep, the lyrics often chanted, and the vibe evokes a sweaty dance party. Much of this music has the furnace-blast intensity of punk or metal, but it’s delivered in a world-music aesthetic, thanks to instruments such as trumpet, trombone, sousaphone, drum kit and various saxophones. 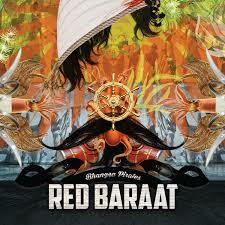 On the track “Akhiyan Udeek Diyan,” Sonny Singh’s trumpet solo and Mike Bomwell’s muscular work on soprano sax demonstrate that when Red Baraat decides to tone down the more aggressive edges of its attack, the result is still a completely dance-worthy groove. Fans who enjoy shaking their hips to Trombone Shorty or Snarky Puppy might want to check out the kinetic party vibe that Red Baraat offers. The band will perform at Brown’s Island in Richmond, Virginia, as part of the Friday Cheers series on May 12, and at the Fringe Fest in Virginia Beach, Virginia, on May 13. 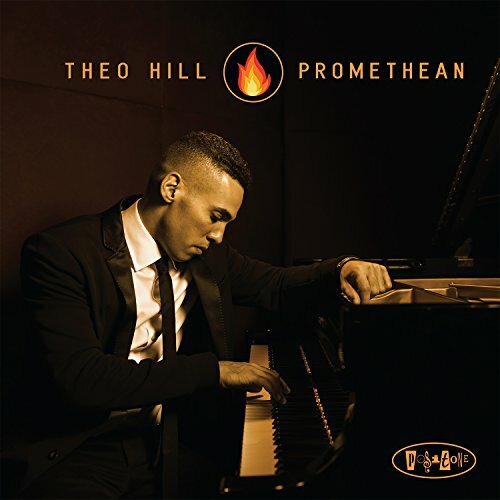 On the cover of Promethean, pianist Theo Hill’s debut album for Posi-Tone Records, is a quote from filmmaker Jean-Luc Godard: “It’s not where you take things from,” it reads, “it’s where you take them to.” In that spirit of transportation—and transformation—Hill presents a program of 11 songs in which his goal is to pay homage to the music of his idols while cultivating his own distinct voice. While the project benefits mightily from the presence of bassist Yasushi Nakamura and drummer Mark Whitfield Jr., it’s Hill’s formidable piano chops and probing arrangements that make this album such a winning statement. In his hands, the propulsive groove of Duke Pearson’s “Is That So” receives a contemporary makeover, with a funky sense of geometry that preserves the integrity of the original while pushing it into the 21st century. Chick Corea’s “Finger Painting” becomes a vast arena for quiet exploration, with deliberately spacious piano figures that allow room for the composer’s genius to breathe. Gems by Kenny Kirkland (“Blasphemy”), Bobby Timmons (“This Here”) and Hale Smith (“I Love Music”) populate this album as well, and Hill approaches them with an equal measure of reverence and revival. But it’s a pair of tunes by drummer Tony Williams— “Pee Wee” and “Citadel”—that best exemplify Hill’s astounding range as a stylist. The first is a delicate ballad, played with serene clarity and dignified restraint. Like the best poetry, it’s the spaces between phrases that connote the most meaning. The second is a blast of modern jazz energy—as passionate and powerful as Williams’ drumming. That Hill can cover so much stylistic territory is impressive—he even adds fiery original, “The Phoenix”—but even more impressive is the way he so confidently stakes out territory of his own. We are living in a Golden Age of piano players, and the sheer amount of young talent out there is encouraging. In this fertile soil, it’s inspiring to see that Hill has planted his flag. 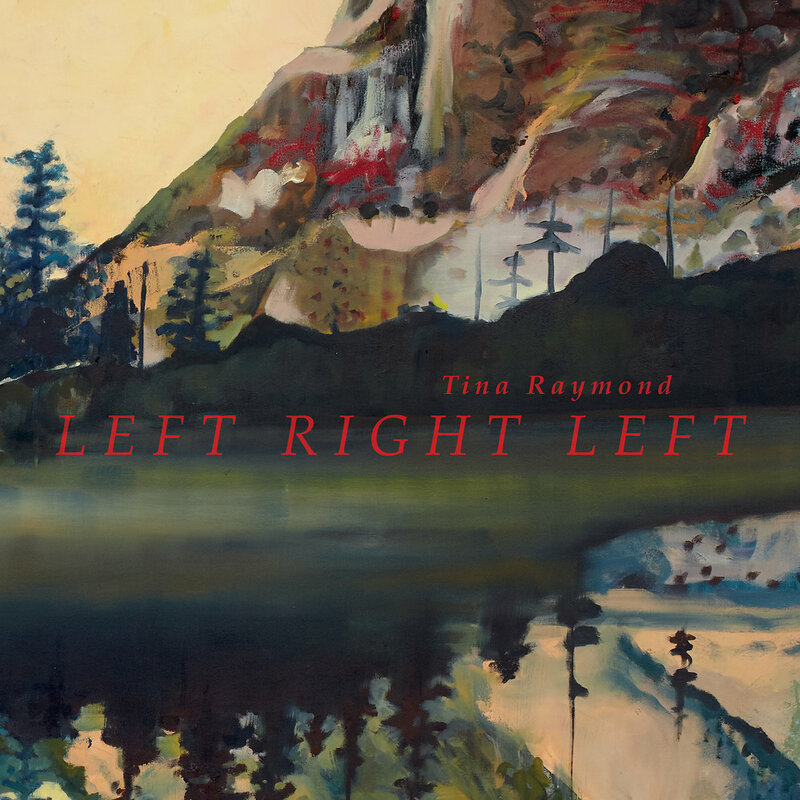 Los Angeles-based drummer Tina Raymond packs a lot of sociopolitical commentary into the invigorating grooves and bristling arrangements of her debut album, Left, Right, Left. That such a high-concept project would swing so hard seems a natural outcome for Raymond, a full-time professor of music at Los Angeles City College who has shared the stage with jazz luminaries such as Bobby Bradford, Bennie Maupin, Emil Richards, and Vinny Golia. In the liner notes, Raymond elaborates on the album’s source material, writing that the concepts of “left” and “right” are integral to understanding both drumming technique and the American political discourse. The connection between those two themes is illustrated here, as Raymond, Art Lande (piano) and Putter Smith (bass) offer a program that provides a new context for patriotic hymns, anti-war songs, Civil Rights anthems and folk music mainstays. The results are sometimes challenging, often eye-opening and consistently rewarding. Nowhere on this album is the meaning of a song so thematically transfigured than on “Battle Hymn Of The Republic,” which here develops an undercurrent of foreboding doom as it slopes toward chaos. Other times, a song is reframed rhythmically as well as symbolically, as when Pete Seeger’s “If I Had A Hammer” adopts an Art Blakey-esque hard-bop swagger. Throughout it all, Raymond displays ferocious chops and a remarkable sense of balance, supporting the overall group sound as much as she asserts her individual voice. In fact, her equipoise as a drummer is perhaps the most salient aspect of this disc, proving time and again that when it comes to left and right, it’s coordination—not separation—that produces the most satisfying results.